Step, slide and glide cross-country. This series is filled with lots of fun on skis. Beginners will learn how to put on the correct equipment, dress for safe skiing and learn basic Nordic ski skills. 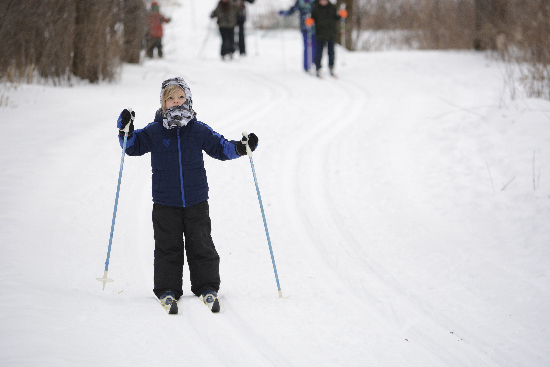 Intermediate students build upon current skills, explore new trails and have races for fun. We'll show you how to play games on skis! Fee: $44 for 4 weekly sessions; $7/week optional ski rental. Registration is required.